June is National Iced Tea Month and comes at the perfect time with the hot weather arriving. I'm a fan of all kinds of iced tea, and I drink it at home, at work, and on the go. Saravena is a small, family owned tea company that focuses on offering premium Teas and beneficial Tisanes. 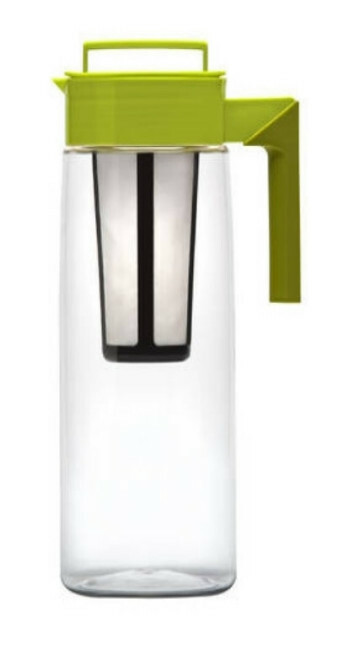 They also offer tea ware that is functional and contemporary, like the iced tea maker below. The Takeya Iced Tea Maker has an innovative design and holds 66 ounces (8 glass servings essentially) and is great for entertaining or everyday use. It's made of AcraGlass material that's non-toxic and lightweight, and BPA-free. The iced tea maker is perfect for hot or cold beverages. 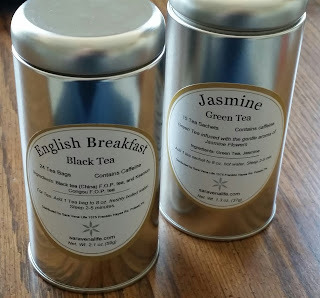 Furthermore, Saravena also offers many, many bagged and loose leaf teas and I recently had the pleasure of trying the jasmine tea and English breakfast tea. Did you know that tea is the world's most consumed beverage? Have some in the morning or afternoon to stay energized, or pair with dessert for an evening treat. So who wants to win something?! The folks at Saravena have been gracious enough to offer up a Takeya iced tea maker and pouches of country peach and organic black iced tea. Enter to win using the Rafflecopter form below. You may share on Twitter once a day for extra points for the duration of the giveaway. 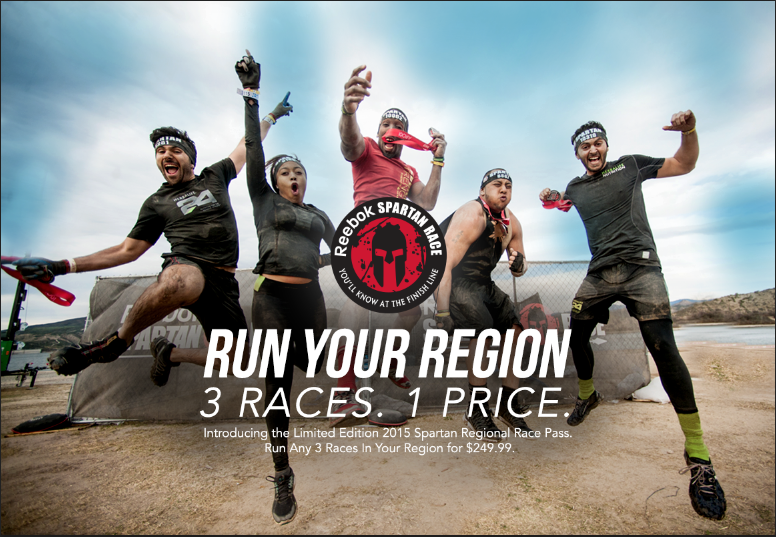 Time for a Memorial Day discount courtesy of the folks at Spartan Race! So back to that discount! 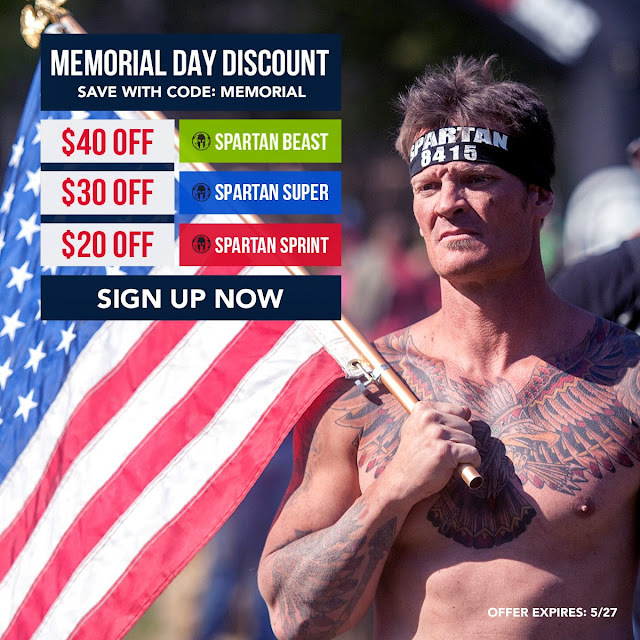 The folks at Spartan Race have been gracious enough to offer a discount code (MEMORIAL) for up to $40 off an upcoming race. Please see below for special details and be sure to take advantage of this rare discount. Check out the upcoming Spartan races and use code MEMORIAL before it expires May 27th. Valid for Continental US Only, excludes Hawaii. Cannot be retroactively applied or combined with any other offers including GovX. Not valid for Elite, Kid's Race, or Spectator tickets. I'm a sucker for polo shirts ever since my wife got me into golf a few years ago. Polos are comfortable, breathable, and easy to throw on in the morning whether you're heading to work or the golf course. And Proozy.com has lots of polos and tops to choose from! 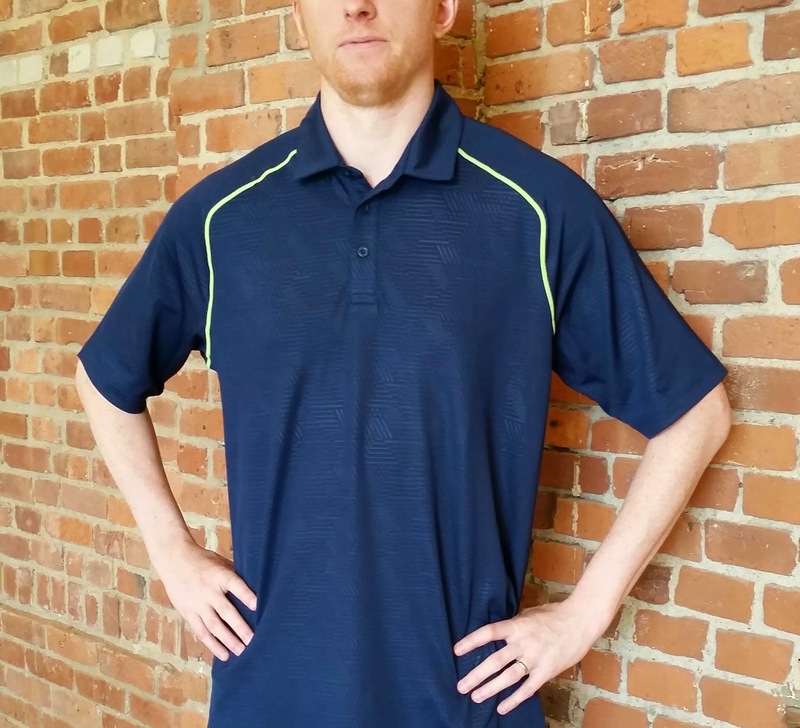 I recently got my hands on the Under Armour Syntax Emboss polo shirt from Proozy. They're the go-to internet retailer where you can find find deeply-discounted brand name products. At Proozy, they take pride in offering amazing brands for the best prices. Under Armour Syntax Emboss polo shirt in "Academy" color. 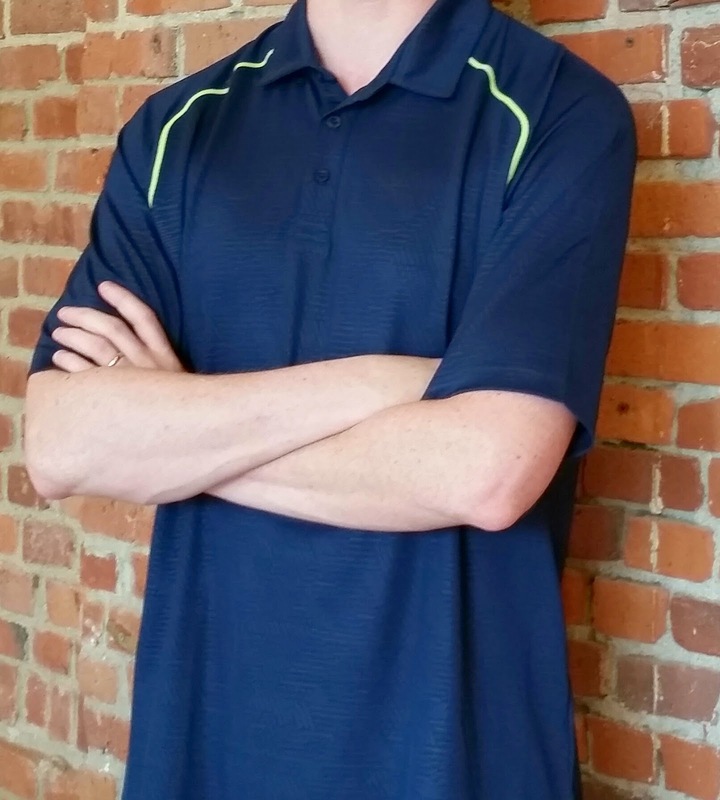 I love this Under Armour polo, and it's an ideal shirt for me, a combination of business casual and active wear. The fitting is great and true to size. I'm tall and on the lean side as you can probably tell, and the XL size is perfect with a bit of room to tuck in my pants. The color is called "Academy," which is a navy blue and has lime green stripes along the shoulders that really pop. It's a nice contrast. Also, there are a couple spare buttons hidden underneath the collar which could come in handy in the future. I can't remember the last time I needed to replace a polo button, though. Too cool wearin' the Under Armour Syntax Emboss polo shirt. The material is comfortable and pretty lightweight, and for hot days on the course, this could be my go-to shirt. Under Armour is beginning to impress me with their quality stuff. Whether it's for the office or the golf course, look no further than this polo for comfort and style. Proozy is the place to go for great products on the internet. They want you to have the best e-tail experience possible, so take a relaxing prooz through the site and have fun shopping. So who wants to win something?! The folks at Proozy are graciously offering a $50 credit to one Giveaway Guy reader to purchase anything on their website. All kinds of stuff for both men and women. They also have a code GIVEAWAYGUY15 for 15% off your first purchase. 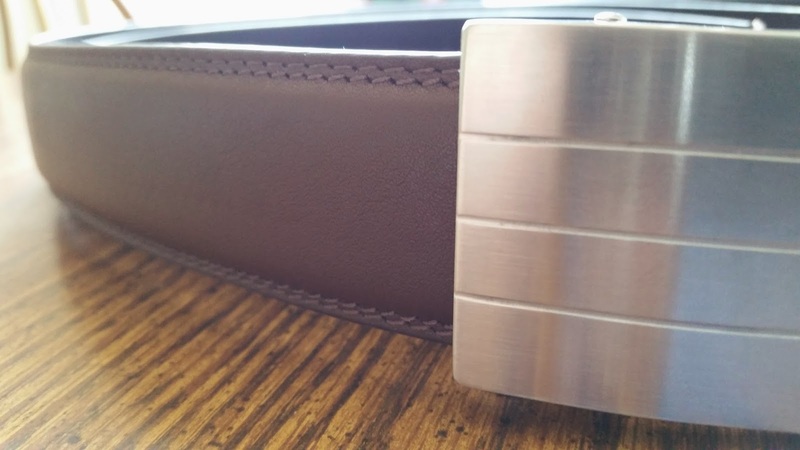 Father's Day is just around the corner and you can't go wrong with a belt from Kore Essentials. Kore calls it a must-have gift, and I think it's a great idea. Forget the ties, people. 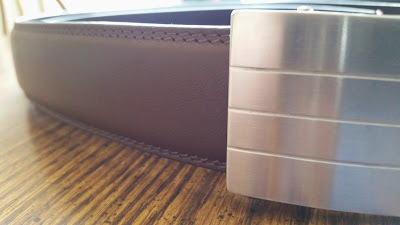 I recently got my hands on the Evolve buckle leather belt in brown. My old belt got so worn out, mostly in the holes, that it became raggedy and a bit of a sore sight. Kore's belts, however, don't have holes so there's no chance of wear and making holes bigger! I expect it will last much, much longer than my old belt. Behold the belt of the future! 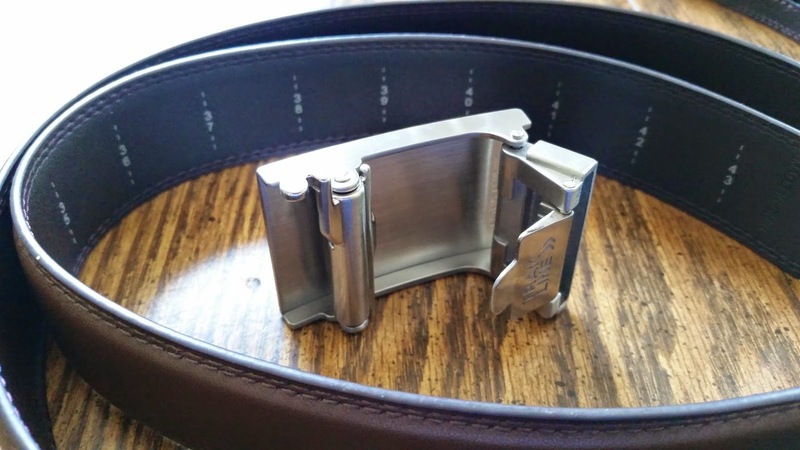 The belt uses a sleek, spring-loaded caliber mechanism in the stainless steel buckle. This way, it offers a comfortable fit that snugs to your exact waist size since there aren't any holes. Did you just have a big Thanksgiving dinner? Loosen that buckle up. The release tab under the buckle allows you to easily make adjustments. A hidden track is on the backside of the belt, and there are markings showing up to size 44. There are some cool buckles in the shop, so check it out and browse around. You can go casual or dressy with the entire collection of belts. All of Kore Essentials' products carry a one-year warranty against any defects, or breakage under normal usage. So who wants to win a belt?! The folks at Kore Essentials are graciously offering one of their full-grain leather belts to one Giveaway Guy reader. I've noticed people especially like the Amazon giveaways I've hosted. I currently have a handful of other giveaways going on, so check 'em out if you haven't already! After winning a few giveaways for myself, including the Perixx gaming headset I won and am now giving away, I've decided to give away something else to a lucky reader - a $25 Amazon gift card. If I can, I'll make this a monthly thing. The giveaway is available to everyone worldwide. I'd also like to call attention to National Bike (Bicycle) Month, which is the month of May. If you like to bike, below are some tips for smart cycling. Where do you like to ride? Golf season is back, baby! Here in New England it was a bit delayed with the crazy winter we had, but the snow is gone and the weather is finally nice. My clubs have been sitting around for so long that I literally had to dust 'em off. And with the golf season now here, that means it's time to do a gear check and see that everything's good to go for your first round. 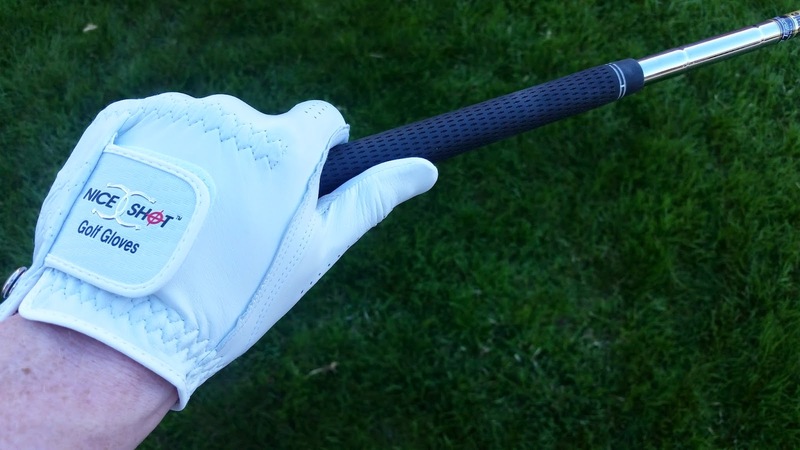 As for me, I wore out my glove last year (I probably grip my clubs too tight) and it's time for a fresh one. This is where Nice Shot Golf Gloves come in. I recently got my hands (or hand, really) a Signature Series glove from Nice Shot. As you'll see from the ghostly glow of my photo below, the glove is sharp and looks great. It fits perfectly to size as I'd expect it to, and there's also a ball marker snapped on to the glove if you look at the left side of my wrist. The marker is about the size of a button - maybe even a bit smaller. Having the marker attached to my glove will actually save me a bit of time digging in my pockets looking for a coin or marker, so this feature is awesome. The glove even includes a snap-able ball marker. There's something unique about Nice Shot Golf Gloves, however. There are five gloves in the Signature Series, and each features the Nice Shot logo on one of the fingers. Check 'em out - there's even one with the logo on the middle finger. I've got the Thumbs Up glove and it's fun to show it to people. You're guaranteed to get a smile at the very least by gesturing with the glove. Fun fact: the thumbs up gesture was adopted in World War II to signal "A OK" or "All good to go." Thumbs up with my Carnahan wedge. Hand gestures are an integral part of human communication. They pre-date the evolution of language and verbalization. The origins of specific hand signals are rooted in the culture and customs of various global regions and are as unique as as their respective language or dialect. The pairing of these global icons with golf's universal acknowledgement "Nice Shot" is a fitting tribute to the conflicting elements of competition and etiquette in one of the world's most enduring games. So who wants to win something?! 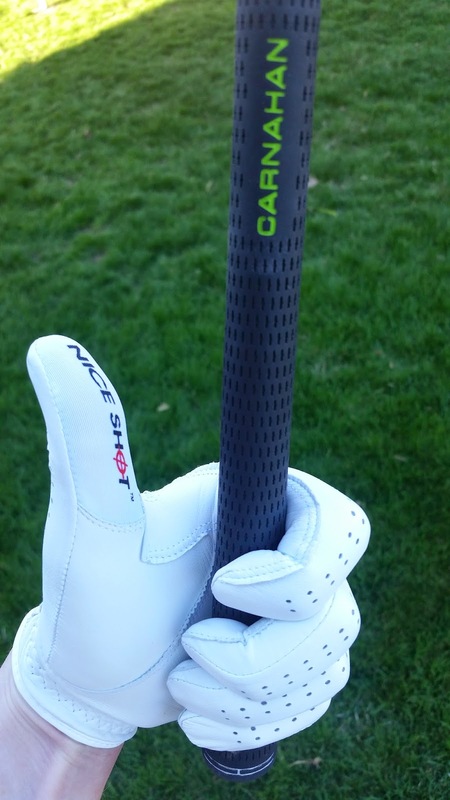 The folks at Nice Shot Golf Gloves are graciously offering a glove in the design of your choice to one Giveaway Guy reader. This giveaway is open to users in the U.S. and Canada. One winner will be randomly selected via Rafflecopter, which I will contact by email after entries are verified. The winner will have 24 hours to respond, otherwise a new winner will be selected. In previous posts I mentioned I've been looking for natural and fun ways to improve my health. Feeling confident and looking great can be challenge, and I've tried various mud masks (some OK, some great). 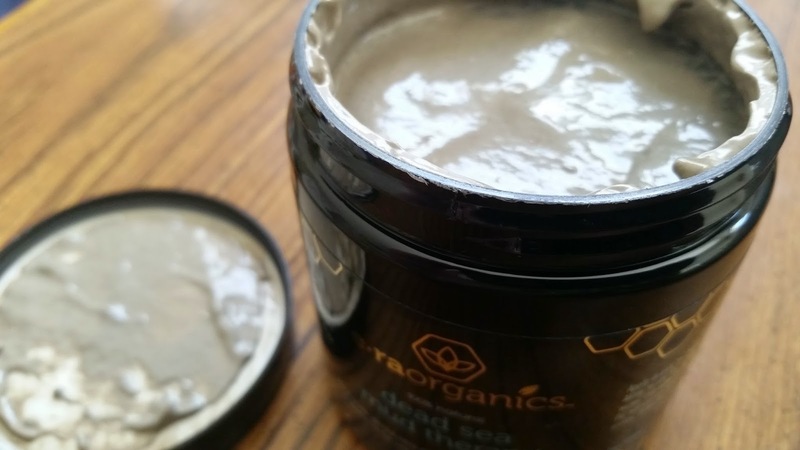 I recently had the privilege of trying some Dead Sea mud mask from Era Organics. Customers of Era Organics report seeing a difference after just one use of the mask. Their unique formula is enhanced with organic ingredients including manuka honey, aloe vera, shea butter, and hemp oil for added healing and moisturizing power. Did you know... the Dead Sea is the only place in the world with this particular combination of exclusive spa benefits: peculiar sun radiation and climatic conditions, enriched oxygen atmosphere, mineral-rich salt sea, thermomineral springs, and mineral-rich mud. The mud removes excess oil and dead cells from the skin's surface, and I prefer to focus my application on and around my nose where my pores are biggest. After 15 minutes and then washing away, my skin feels soft and refreshed - certainly much better than it had before. So who wants to win something?! 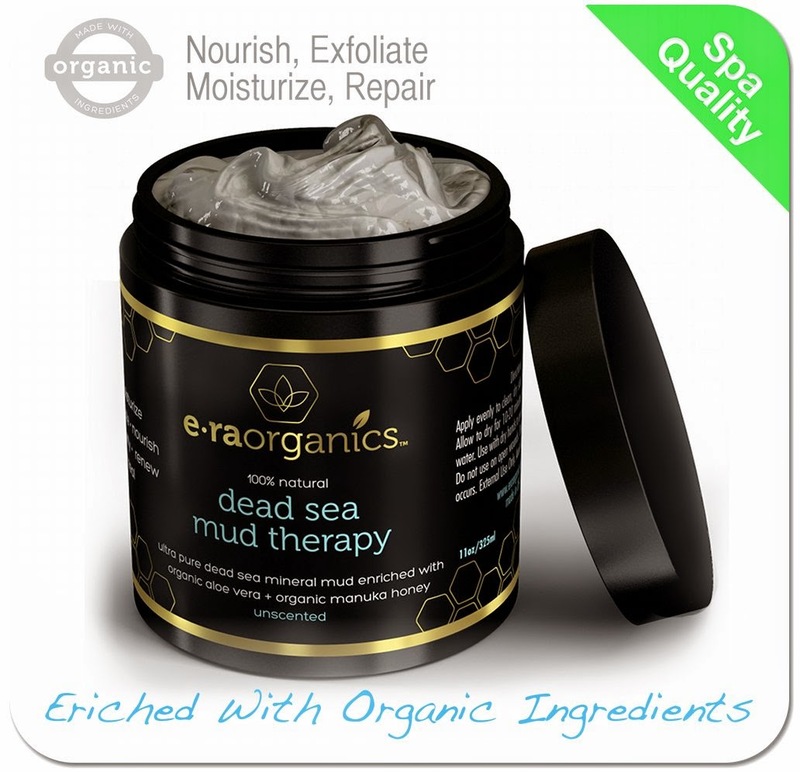 The folks at Era Organics are graciously offering a jar of Dead Sea mud mask (unscented or grapefruit mint) to one Giveaway Guy reader. 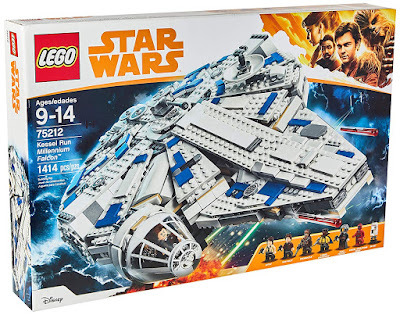 They also have a code TOYRZKP6 for 30% off on Amazon. 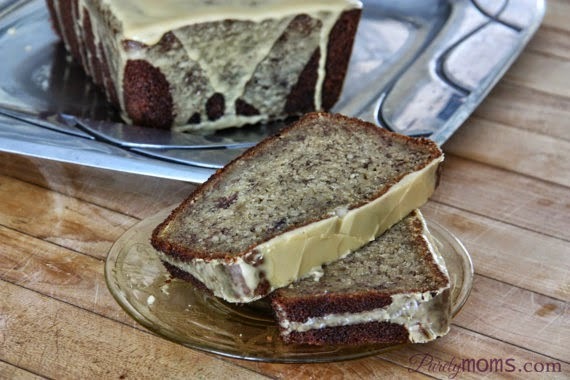 OK, this post is sure to be a hit because who doesn't like banana bread? Bread, good. Bananas, good. Banana bread... amazing. Prepare to feast your eyes (and hopefully your mouth if you win) on a gluten-free variety of the tasty treat. I recently had the privilege of trying some delicious banana bread from Michelle of PurelyMoms.com and her Etsy shop, Purely Moms Gluten-Free. As she states on her profile, Michelle is a certified pastry chef turned mom blogger. Her journey of sweets led to taking familiar recipes and making them gluten-, dairy-, sugar-, or nut-free. Michelle's hope is to help others understand "real" food and how the diet can affect every area of our body and mind. I'm a sucker for banana bread and love trying lots of recipes for it. This bread is so, so rich and has lots of moisture. It packs a big flavor punch and there's no doubt you'll find it yummy. It's sweet, scrumptious, and the maple glaze on top is the icing on the cake. It's the perfect dessert if you like bananas. Full of two nut flours (almond and cashew meal) for high protein. Low in sugar and has healthy avocado oil to make a very nutrient dense bread. It will give a new name to your old recipe. Michelle has plenty of other cool stuff in her shop, so check it out. So who wants to win some banana bread?! Michelle is graciously offering a large loaf of gluten-free banana bread with maple glaze to one Giveaway Guy reader. Butterfly Vegan Bakery is back! Previously we ran a giveaway for some gluten-free cookies and it was awesome. 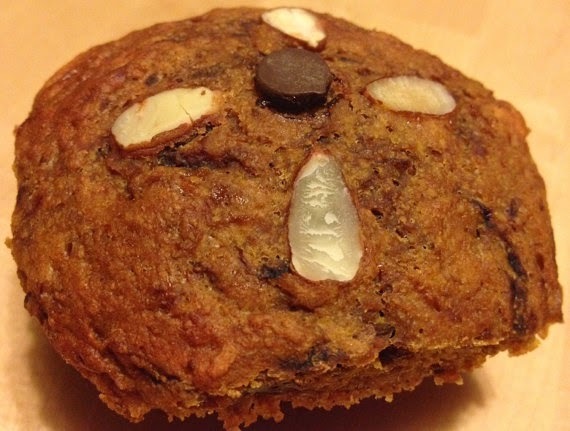 Visitors to my blog loved it, so we're doing another giveaway for some muffins. As my favorite comedian has said, a muffin is just a bald cupcake. And everyone loves cupcakes, so this should be a fun giveaway. I recently tried some delicious beet blondie muffins from Parvaneh at her Etsy shop, Butterfly Desserts. As she states on her profile, her name means butterfly! She has a passion for eating and making healthy food - especially desserts. All of Butterfly Desserts' products are grain-free, soy-free, and made with coconut flour and unrefined sugars like coconut sugar. The sugar free version of all products is sweetened with only dates. They are also super low-fat and low calorie. All packaging is biodegradable or recyclable. Even the clear bags used for packaging smaller items (like muffins) are made with corn starch - not plastic! That's right, the bags are made with corn starch. Parvaneh has plenty of other cool stuff in her shop, so check it out. 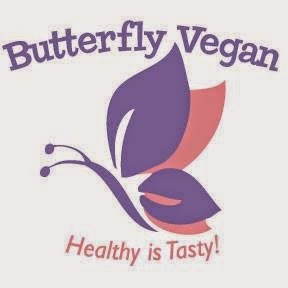 You can also buy directly from butterflyvegan.com at cheaper prices! Enter to win a couple low-fat muffins using the Rafflecopter form below. You may share on Twitter once a day for extra points for the duration of the giveaway.